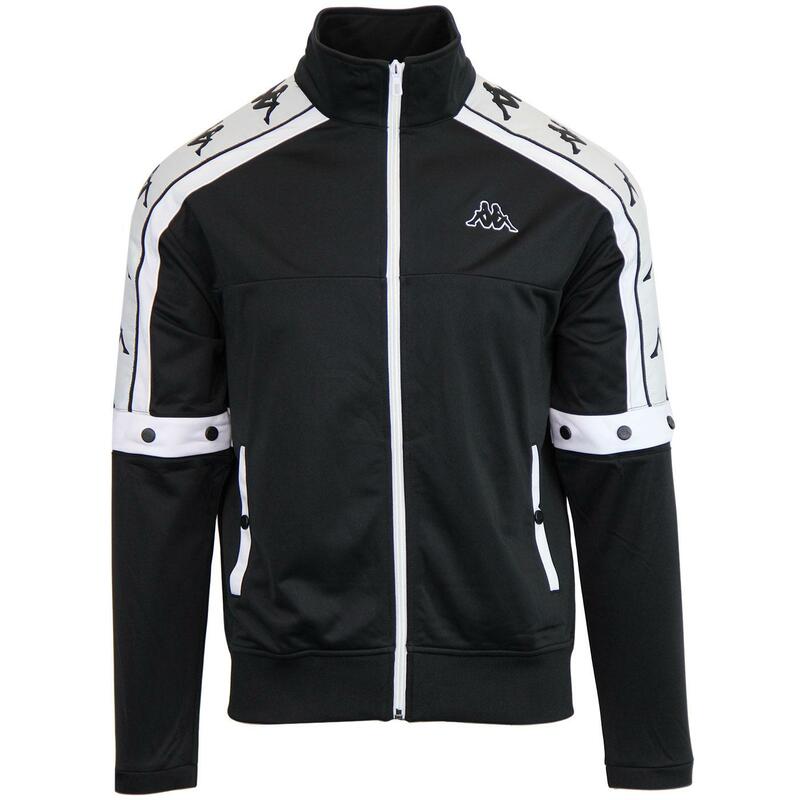 Kappa 'Banda Arany' men's retro 1990s style popper sleeve track jacket in black with white oversize Kappa Omni tape panel stripe to sleeves. 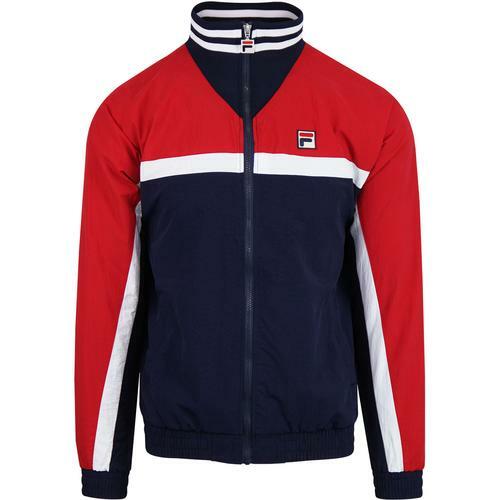 The classic funnel neck collar epitomises the classic 90s look and striking contrast white trims and zip through add to the eye catching appeal of the Kappa Banda Arany track top. Snap down side pockets with contrast white welt, classic elasticated hem and cuff detail. The finishing touch is the popper fasten sleeve detail that means if you get a bit warm you can just unsnap the sleeves! You can team the Kappa Banda Arany track top with the matching Banda Arpan popper track pants to create a popper-tastic tracksuit! 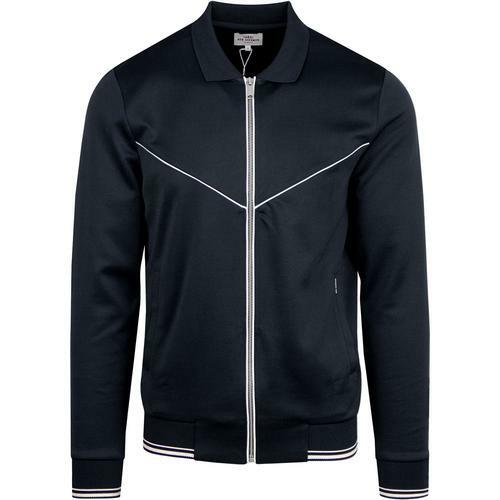 Kappa Banda Arany men's retro popper sleeve track top in black. Contrast white oversize Kappa Omni tape detail. Contrast white trim to sleeves, popper sleeve placket, pocket welt and zipper. SKU: 3031T90 903 Banda Arany Track Top.